Two people wearing hooded sweatshirts opened fired at a crowd Saturday night in New Orleans, killing three people and injuring three others, police said. 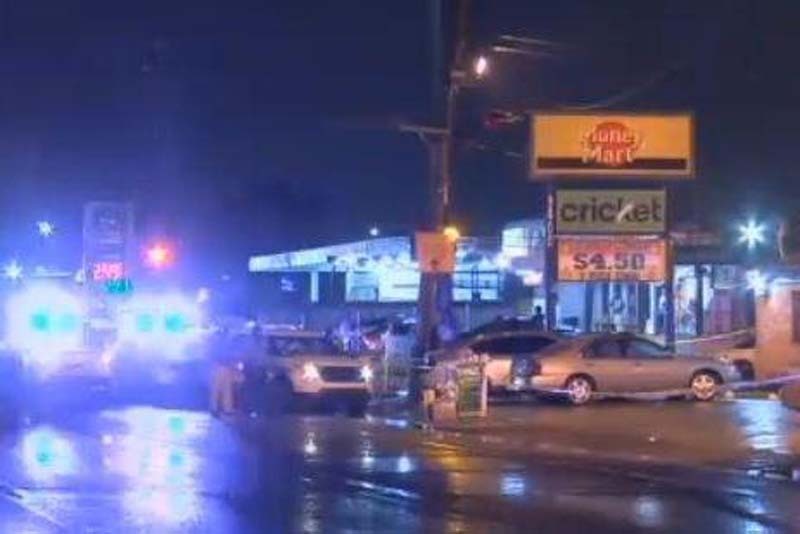 NOPD Superintendent Michael Harrison told reporters at the scene shortly after midnight that the two men are on the loose after fleeing on foot. One appeared to have a rifle and the other used a handgun to shoot into a "large crowd" in front of a daiquiri shop, he said. Two men and one woman were pronounced dead at the scene by paramedics. Two victims were found in the strop mall parking lot and the other a few blocks away.